At McQuarrie Middle School, the war against the FunTime Menace-aka test prep-wages on. Our heroes have one battle under their belts, and they've even found a surprising ally in Jabba the Puppett. But to defeat the Dark Standardized Testing Forces they're going to need an even bigger, even more surprising ally: Principal Rabbski. But with great forces-aka the school board-pushing her from above, will the gang's former enemy don a finger puppet and join the Rebellion-or will her transformation to Empress Rabbski, Dark Lord of the Sith, be complete? The final Origami Yoda case file from the kids at McQuarrie Middle School! After successfully fighting to save their field trip in Princess Labelmaker to the Rescue!, Tommy and the gang prepare for a well-earned day of fun and adventure in Washington, DC . . . but of course it won’t be that easy! This trip to the nation's capital will be full of shifting alliances and betrayals, carsickness and sugar rushes. Trouble starts even before the buses leave school, when Principal Rabbski decrees the field trip an “origami-free zone.” Dwight secretly folds a Yoda from a Fruit Roll-Up, but will Fruitigami Yoda be a match for Harvey's sour, hate-filled pickle of darkness? 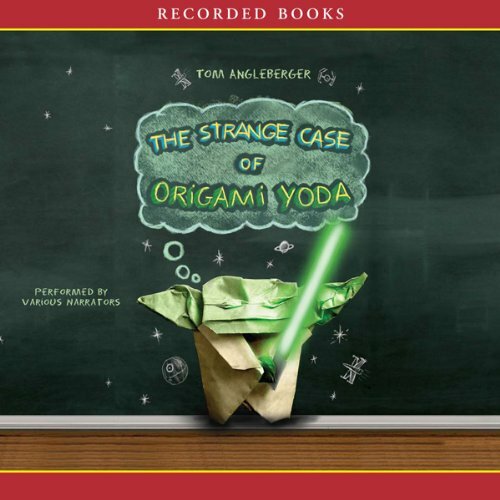 Astronaut ice cream, a supersonic plane, a Johnny Appleseed sighting, and a near arrest—are just some of the clues in the sweetest, stookiest, biggest, craziest Origami Yoda case file yet.